Is it done yet? I'm waiting to see it drive down my street some day. Well I got it plated and insured this week. I got a lot of the brake issues worked out, but still working to get a better pedal feel. I got to drive it about 10 miles or so tonight without any major problems. The only problem currently is the cover on the bottom of the 300 t case is leaking, so I will pull it of maybe Sunday morning and clean the surfaces again and put some good sealant on there instead of the gasket that they come with. 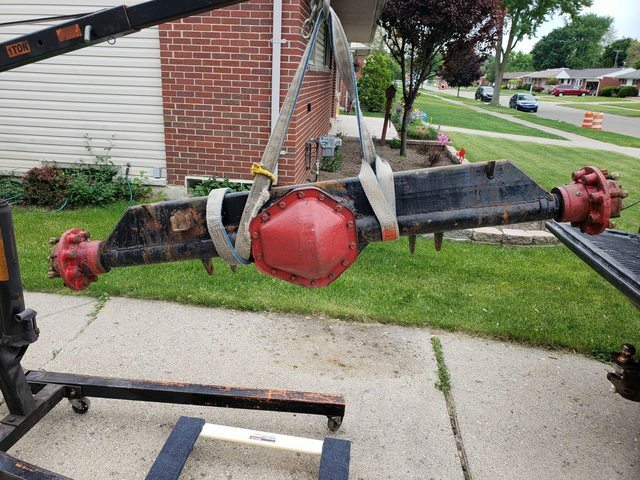 Drives and rides pretty good, If I really matt it going around a turn I can get the suspension to unload, that makes for some funny looks from people sitting at a light watching me turn. I have a lot of little bs stuff to still take care of on it, but it should be fun to drive while the weather is nice. Have a pig roast tomorrow to go to that is a few miles away that I will take it to for some more test driving. I don't want to go to far from my house with it at the moment until I get little stuff worked out and I can feel confident that it will get me home. Finished pics to come soon. I saw it. It looks great. I don't know how you can take it offroad and destroy that high dollar paint job. You can bring it to the badlands now, we are going the weekend of the 4th. 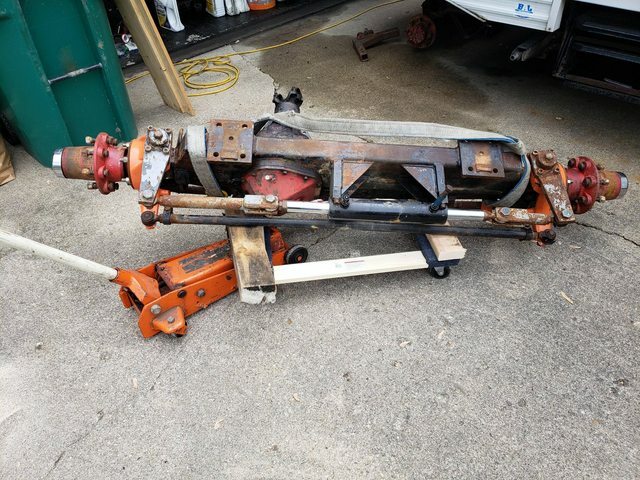 Digging this up for some advice, looking to do a pass drop dodge 60 in a Tj and wondered if you have a few pics of the front drive shaft and how the track bar/drag link worked out? I'll try to get pics tonight or tomorrow. I built a bridge over the pig and attached my upper link mount and track bar to it. So the track bar goes from the bottom side of the drivers side frame to the top of the pig and at ride height is almost flat. 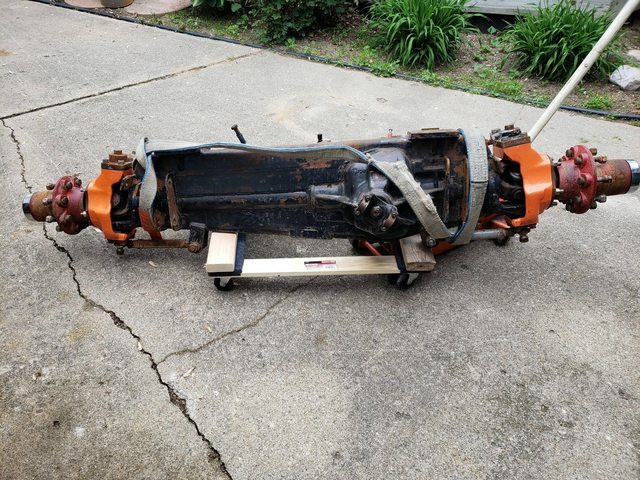 I just happen to have the dodge housing laying around and figured why not Plus it is a 4 banger so I can run some 5.86's or something to help out in the lack of ponies. I remember following this build thread back in 07'. Curious how it turned out and if it wheeled to your expectations. Do you have any recent pics or vid of it in action or even still own it ? Did you ever wheel it? Yep I've seen him at Rocks N Valleys very nice rig well thought out and wheels great! I read through the whole thread twice to see if I missed it but I didn't see any pictures or info on the steering? Dragging this out from the dead for stronger axles for the jackstands. I will be redoing the back of the frame and some of the cage. It'll be a slow process though, probably few months before it goes back under the knife. Started under the knife a while back. 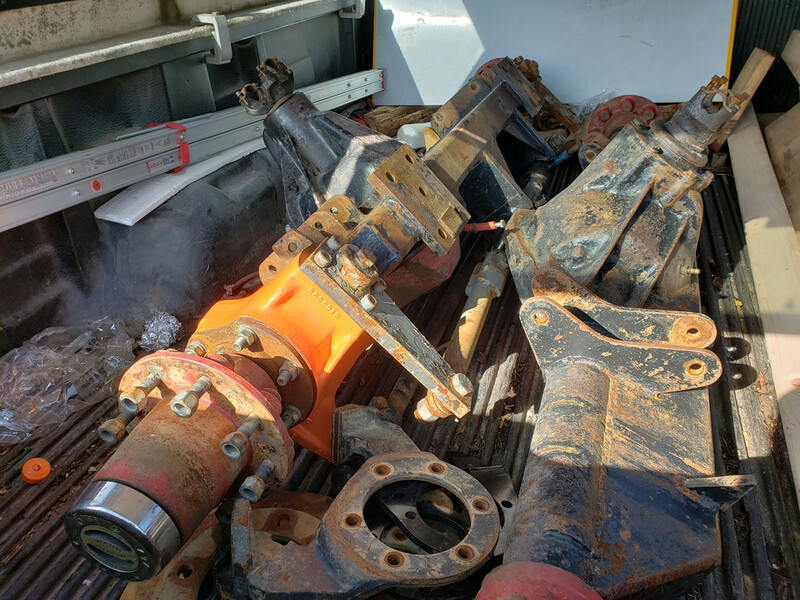 Got the old axles sold and have been slowly accumulating parts to put it back together. In the meantime, I have spent a few hours over the past couple weekends with a plasma cutter to get rid of some of the truss work that the previous owner put on these. They lived their previous life in a mud truck, the reason for the overkill trusses. Are you doing the frame work at your place or Mikes? Doing it at my house, just doing the typical 2x3. I finally have a welder worthy enough to use for this. I took the axles to his house for use of his plasma cutter since I don't have one of those yet. I want to buy one but may use the funds for other build stuff.